To grow a successful, profitable business you have to figure out your strategy. It’s the foundation of your business so you have to figure it out pretty quickly. Fail to do so and you are relying on just one thing. And luck doesn’t always go your way. 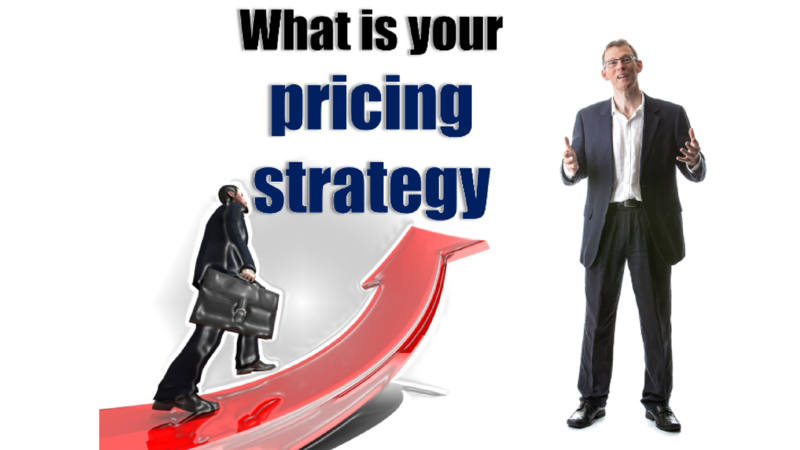 Find out more about the 3 types of pricing strategy you could adopt in the video here. At its heart this strategy is actually about being the cheapest. But it’s cheapest with a difference. It’s cheapest because we create something within the structure of the business that’s unique. It’s about enabling a different cost structure that isn’t able to be copied. When you want to really grow a business then a marketing strategy is key to attract new clients and more work. But it’s an involved process that can get complicated. Instead first there is a basic, and what I believe, most important step to take. You need to identify your ideal client. When I started my accounting firm back in 1996 I was simply focused on growing the size of my firm by getting as many clients as I could. Two and a half years in and my business was a mess. I didn’t make any money. I had cash flow problems and I had way too many clients to manage effectively. And, as well as having too many, those I did have were a mixed bag. Some were good, some were bad and some were downright awful. 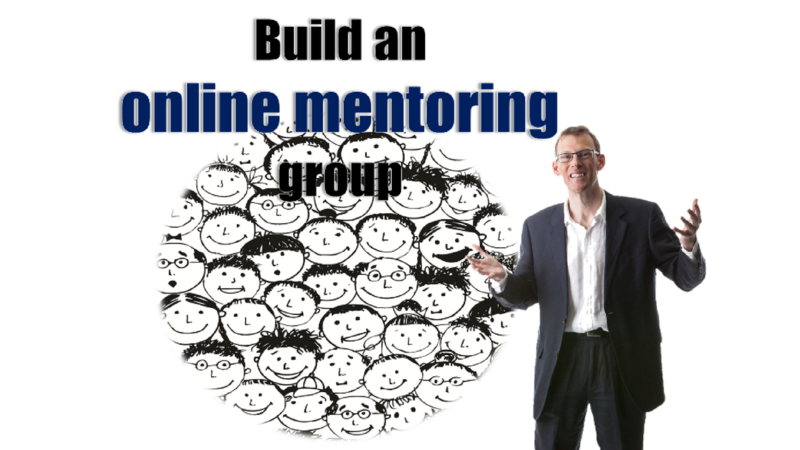 I had taken on lots of poor quality clients simply because I thought growing my business was about numbers – about scale. 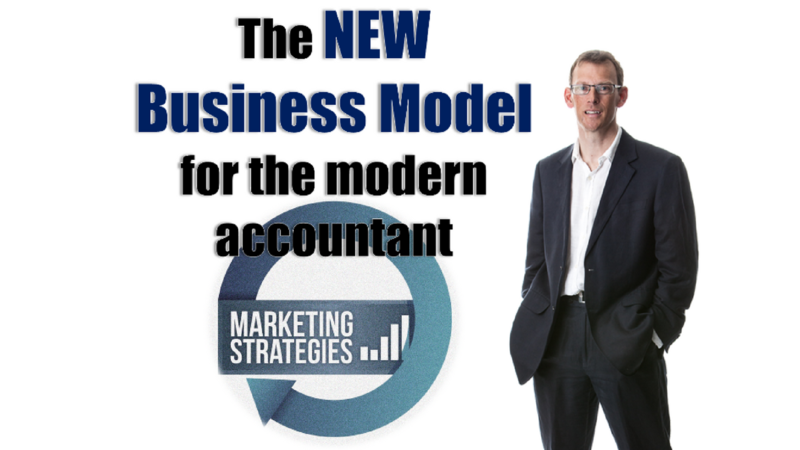 Historically the accounting profession has always given clients credit. It may be 30 days. It may be two months. But we give credit. I don’t know why. Perhaps it’s that we are in the service industry and feel we should. But guess what? Behavioral economics says it’s not what customers want. They actually want to pay upfront. And it makes sense for you too. 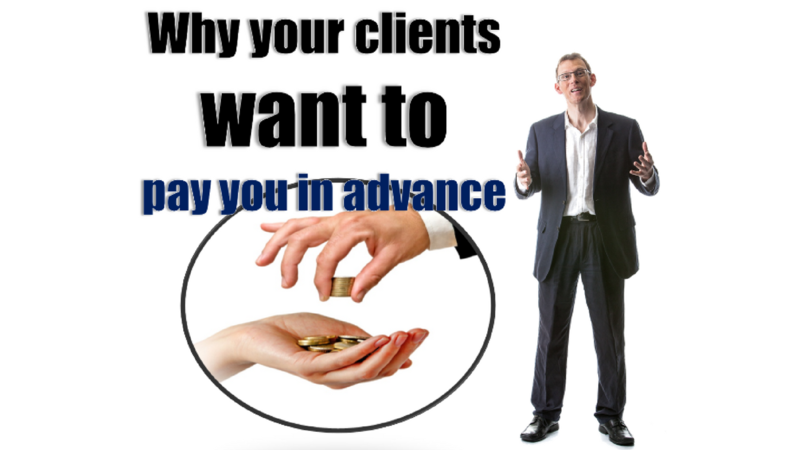 There are numerous benefits when your clients pre-pay. When you get the money upfront you have more money in your bank account and so your cashflow is instantly improved. How much time do you spend chasing money after you’ve done the work? Too much. 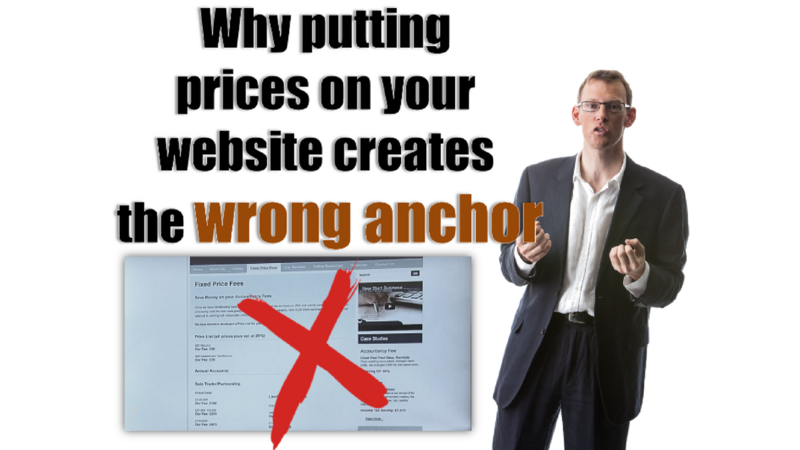 Do you put prices on your website? I don’t. Here’s why. With examples like that, is it any wonder most accountants and bookkeepers are working far too many hours, for far too little money? Or that they’re far too stressed? 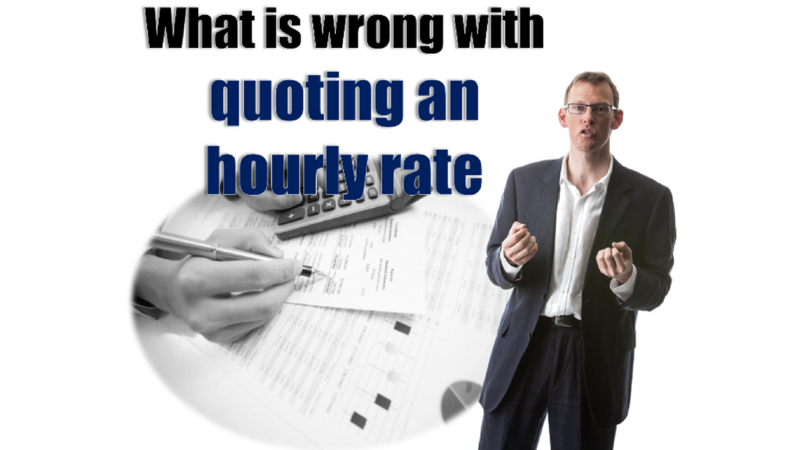 In this post I want to share why it's crazy – even fatal – to quote an hourly rate. And, to prove it, I’ll give you three very good reasons. No one does! There’s no value in time, so it makes no sense to quote an hourly rate. 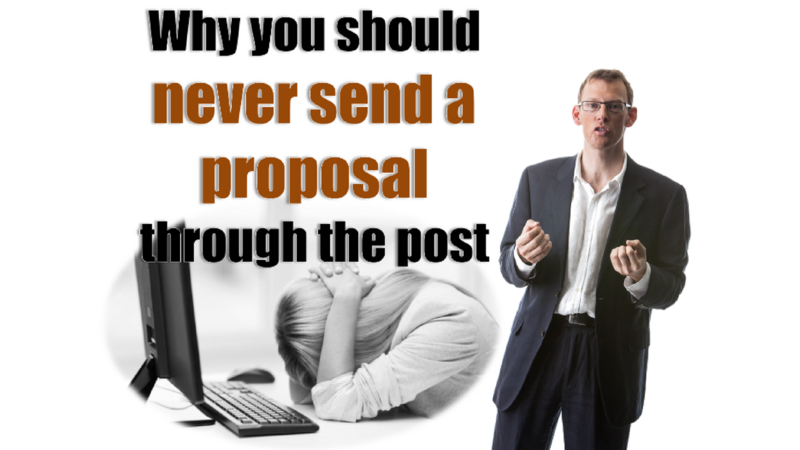 As the author of the Amazon number-one bestseller “Effective Pricing for Accountants”, I’d like to share why you should never, ever send a proposal through the post. 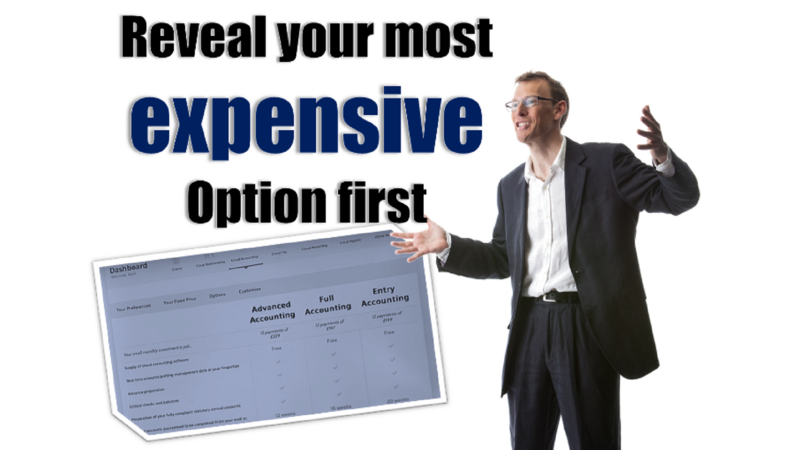 As the Amazon number-one best-selling author of “Effective Pricing for Accountants”, I’d like to talk about why you should always reveal your most expensive solution first. A lot of research has been done in this area and there are a number of ideas we can learn from it to improve our pricing strategy and income. One key idea is top-down pricing. 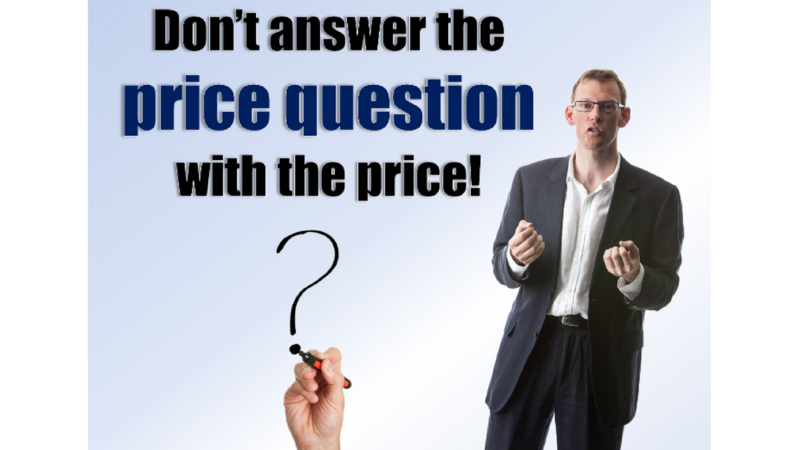 Basically, it means we should always talk to clients about our most expensive option first because it creates a reference price, or an anchor. And what the research has found is that when we talk about the most expensive option first, people end up spending more money than if we’d revealed the cheapest first.